Dr. Singh was raised in Vancouver, British Columbia. He received his Bachelors of Science (Chem.) from the University of British Columbia in 1990 then furthered his education by attaining his Doctor of Dental Surgery in 1994 from Creighton University in Omaha Nebraska. 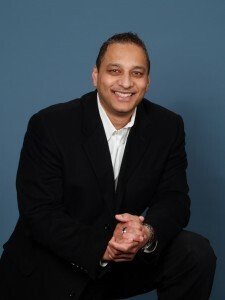 Dr. Singh moved to Portland that summer and accepted a residency at Oregon Health Sciences University and received his Certificate in Hospital Based Dentistry in 1995. After practicing general dentistry for approximately four years, he soon realized his passion for Endodontics. In 2001, The University of Pennsylvania awarded Dr. Singh his Certification in the Specialty of Endodontics. With his training at the prestigious University of Pennsylvania, Dr. Singh brings to his practice a solid scientific based approach to modern Endodontics. Compassionate towards patients’ fears and anxiety, Dr. Singh perform his treatments with the emphasis on profound anesthesia, using digital radiography as well as complete treatment under the use of a Surgical Operating Microscope. This cutting edge in technology allows his patients to be treated more comfortable and efficiently. In 2007, Dr. Singh furthered enhanced his pursuit of dental excellence by training under Dr. Dennis Smiler, maxillofacial surgeon of Encino, California in mastering the art of dental implant placement. He has received his Fellowship from the International Congress of Oral Implantologists and holds an Implant/Endo study club in Forest Grove, Oregon. When not practicing dentistry, Dr. Singh can be found working out, travelling, fishing on “The Painkiller”, making wine and enjoying Dental Fridays!! !